The Ikegami ULM-153 is an Active Matrix super TFT LCD having a color reproduction of 16.2 million colors. It provides top quality images with a high resolution of 1024 x 768 pixels. The monitor's 2D Comb Filters reduce artifacts such as dot crawl, and response time of 8msec. ensures minimal ghosting of images. The TFT LCD has a viewing angle of 80° left/ right and up/down. With a resolution of 550 TVL, brightness of 250cd/m2, and contrast ratio of 600:1, it delivers accurate color reproduction required for CCTV video surveillance applications. Additionally, the unit has Stereo 4W (2W x 2) built-in speakers. Maximum power consumption of the 15" TFT Color LCD Monitor is 36W. 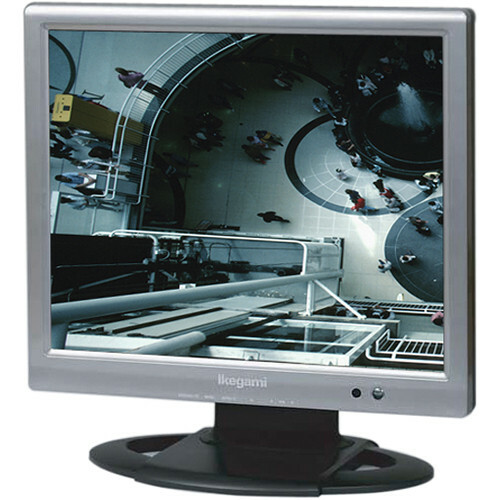 The monitor comes with a 100mm x 100mm VESA standard mounting bracket and can be mounted in a 19" EIA Standard Rack. Fast response time of 8msec. Box Dimensions (LxWxH) 19.0 x 17.0 x 9.0"